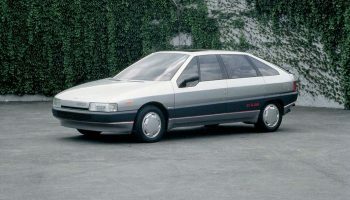 Presented a few months after Saab 9000, Thema is the original matrix of the project "Type 4", the first great European joint-venture among Lancia, Saab, Fiat and Alfa Romeo. 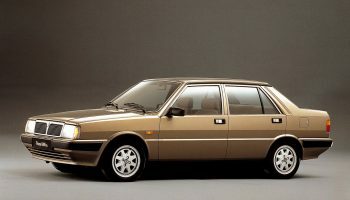 A derivation of Delta (created in 1981), Prisma is Lancia three box sedan designed in 1982 that will become one of the most produced Lancia in the history. 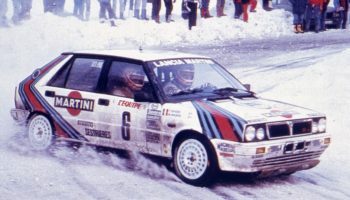 Cx and compartment are the aims to reach to develop the project of the Orca, based on Lancia Delta 4×4 Turbo engine and platform. The most aerodynamic car in the world. The energy crisis at the end of the 70's brings to a general second thought about cars, also paying attention to low fuel consumptions. 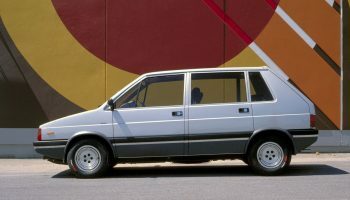 It's a two box that reintroduce the image of Lancia. 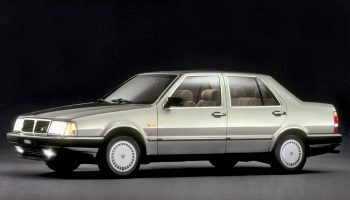 Car of the year in 1980.